NearBuy New user Offer: Get 100% Discount Coupon Code for next purchase. offer applicable to All Food & Drinks Deals, All Activity Prepaid Deals, All Spa Prepaid Deals, All Salon Prepaid Deals. You need to use new user coupon code at Nearbuy for relevant deal category and after that you will receive 100% discount code for next purchase on registered mobile no. So Technically you will save 50% off on buying 2 nearbuy deals one buy one. Nearbuy offer 100% discount upto Rs 150 on food & dining for only new users. This offer remain valid for 30days from day of issuance. All the hassle of finding the best things to do, buy and eat are sorted with Nearbuy. This one-stop destination lets you discover the finest restaurants and spas near your place. Not only this, Nearbuy presents you with amazing wellness and shopping promo codes and offers. From music concert to tattoo parlours, theme parks to movie tickets, weekend getaways to long expeditions, whatever you want is available on Nearbuy along with unbelievable discounts. In case, you can new on the platform, you could grab on exclusive Nearbuy new user coupons and discounts. 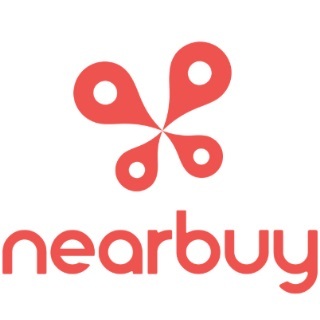 We have mentioned the best Nearbuy offers for new users here. Find below exclusive Nearbuy new user offers on food, spa, salon, and more. Nearbuy is giving a flat 100% off on food and drinks prepaid deal. For this, all you have to do is enter the Nearbuy new user promo code “DINE” at the time of payment. There is no minimum order value to avail the offer. Nearbuy coupon is applicable only on food and drinks prepaid deals. The offer is exclusively for new users. Users can avail the offer only once. Nearbuy new user offer on food stands void for Domino's, MCD, CCD, KFC, Flechazo, Mad Over Donuts, AB's, 3B's, Barbeque Nation and Paradise. The maximum discount that users can avail is limited to Rs. 150. Users will get the discount code within 24 hours of the time of redemption of the voucher. The received discount code can be used on App only. Users can use the received discount code on all deals on food. The validity of the received Nearbuy promo code is 30 days from the date of purchase. New users can take advantage of 100% discount at a nearby SPA. For this, they have to enter the Nearbuy new user coupon code “SPA” before the payment. The offer is applicable only on SPA prepaid deals. There is no limitation to the minimum purchase amount to avail Nearbuy new user offer on SPA. On using the offer, users will get 100% discount, maximum up to Rs. 250. Users can redeem the discount code on the next purchase on the platform. Users can use the received discount code on all deals on SPA. Nearbuy is giving a chance to all its new customers to get Rs. 100 off on the Salon bill. In order to avail the offer, all they have to do is apply the Nearbuy new user discount code “SALON” before making a bill payment. There is no minimum purchase value limitation to avail the Nearbuy offer for new users. Nearbuy new user salon offer is applicable to all salons except VLCC prepaid deals. On availing the Nearbuy new users deal, users will get a 100% discount. The maximum discount amount is set to Rs. 100. Users will get the Nearbuy new user coupon code within 24 hours of the time of redemption of the voucher. Users can use the received discount code on all deals on Salon.